Every year, color experts at our Global Aesthetic Center work with design experts and global technology trends to choose Dulux Color of the Year. This year our chosen color is Heart Wood - a warm smoky neutral with a little heather that helps you relax and restore energy. Heart Wood is a very versatile color that creates a variety of moods, depending on the palette you attach. See for yourself. Explore our guide to using Heart Wood in your home - and find a variety, and sometimes unexpected feelings, that can be created. This versatile palette allows you the freedom to balance softer colors with a deeper and bolder tone. 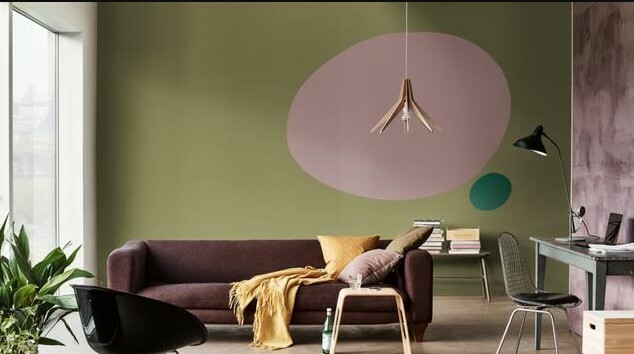 When combined with dark purple and brighter pink, Heart Wood creates a soothing and soothing background. Copper-like textures and brushed blacks enhance the warmth of the Heart Wood tone. Looking for a place to curl up? Pair Heart Heart with shades of brown, clay, and pink blush to bring warmth. Together with these rich colors and cocoons it creates the perfect refuge to rest.